Today, for the first time ever from Microsoft, a new SharePoint farm on Azure from scratch is just a few clicks. This is significant in 2 ways. For one, Microsoft is showing renewed commitment to the on-premises flavor of SharePoint. Secondly, for anyone who’s ever wanted their own SharePoint 2013 Farm in the cloud on the cheap and easy, this is a great new option you didn’t have yesterday. Check out the new Azure gallery from http://portal.azure.com. 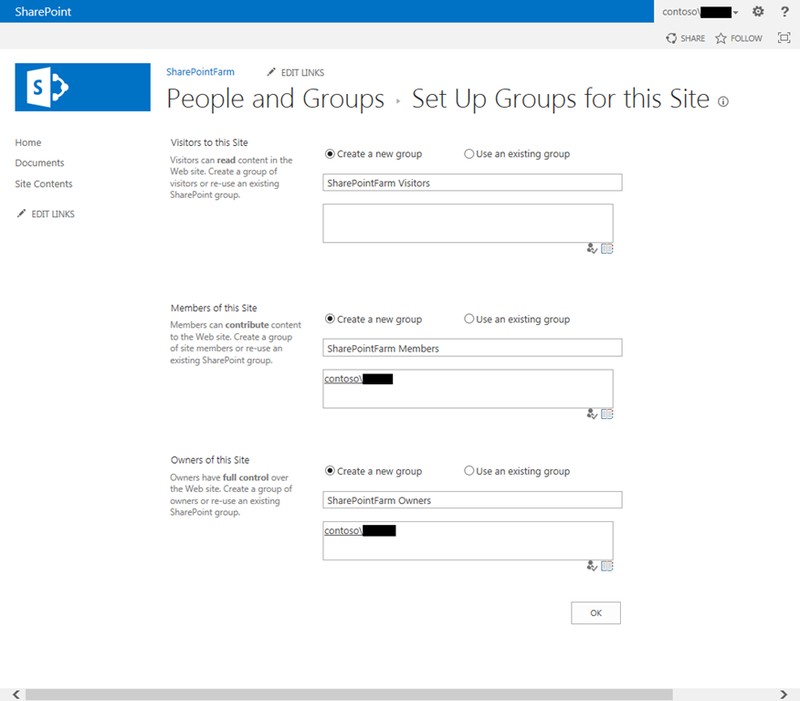 Below is what the SharePoint Farm Template option looks like in the gallery. SharePoint had some of the spotlight at today’s Worldwide Partner Conference. 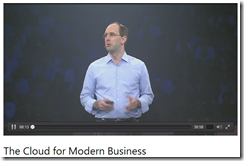 First, Microsoft executive vice president of the Microsoft Cloud and Enterprise group, Scott Guthrie feature SharePoint in the new Azure demo (skip to minute 11 for the beginning of the SharePoint part). 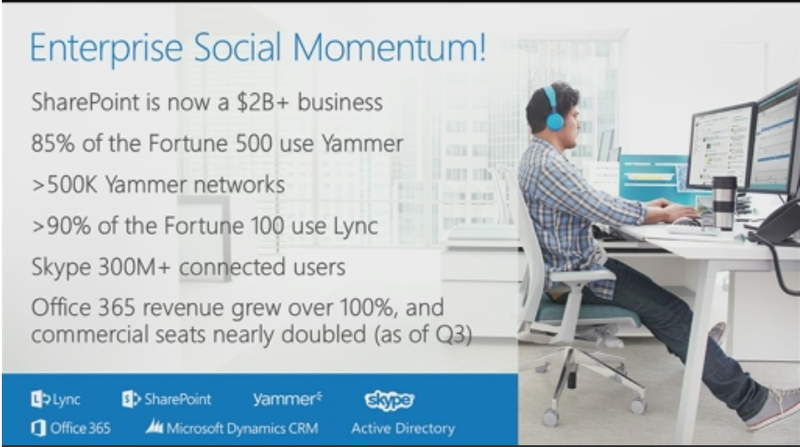 Later, COO Kevin Turner announced SharePoint is a $2 billion dollar business. 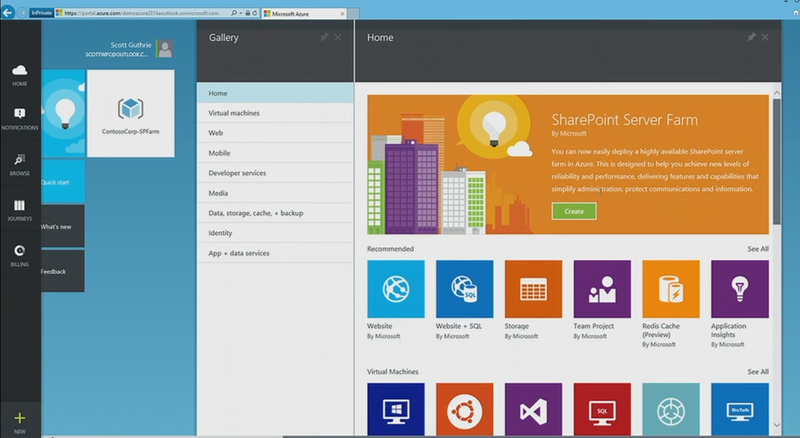 SharePoint got so much love in today’s Keynote, it reminds me of years past. Ever since, the cloud and Office 365 push by former CEO Steve Ballmer, SharePoint’s been pushed to the background as a brand. This renewed commitment may be a sign of change under new CEO Satya Nadella’s leadership. 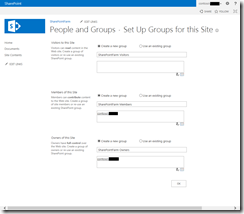 If you want to see some screenshots of the process of creating a Farm in Azure the new way, read SharePoint 2013 Farm in Less than an Hour–New Azure Portal and Azure Templates from MSDN blogs. With my first try, it took a little more lite 2 hours for my farm to get started. I’ll call it a first day glitch. However, once it was done, I was glad to see it had configured the farm for me. Even though it took a little longer than promised, it is still an impressive feat. The wizard created a new Active Directory server with a new domain and user accounts for me. It created a SQL Server with the correct ports opened and accounts granted security. Then it created the SharePoint server, connected it to the first two and configured the farm. And the first site collection was ready at the public address shown in the Azure Management Console. Pretty good! Great info – didn’t know that template existed. Trying it out now! Glad you found it helpful. Would love to hear about your experience with the new template. Sorry, Luis. I was slow on removing the spam. Akismet is failing me lately. May need to move comments to a new platform. Yes. One change would be to use a production key. Thanks for the article. As a Microsoft Partner I get £65 per month credit for Windows Azure (which doesn’t go very far, even though I shut down the servers when I’m not using them), so this is a great Test environment for me, and allows me to work on my build and configuration documentation. When I first read your article, I ran through the installation but I have a bit more time, at present, so I’ve been delving deeper into the platform. I’ve a few points to highlight on the environment, which may help other people. I’m still unfamiliar with Windows Azure but I can’t find an easy way to add additional internet-facing URLs (e.g. for My Sites Web Application). I can work around this by using ports and adding an additional Endpoint. This allows me to have an additional internet-facing URL, although it has an ugly port number in it. That’s not a big problem for me, as it is only a testing environment. Thanks. Good comment. I’ll pass it on to some folks at MS.